For over 10 years Talhan Transport Inc. has been a vital link for Canadian businesses that require transportation of consignments within Canada and USA. We are established since 2000 and have ever since, built a reputation for reliability in transportation of Parcels and Goods locally as well as nationally. Transportation We know that efficient and effective delivery of your freight is essential, and its secure transport is of the highest importance. 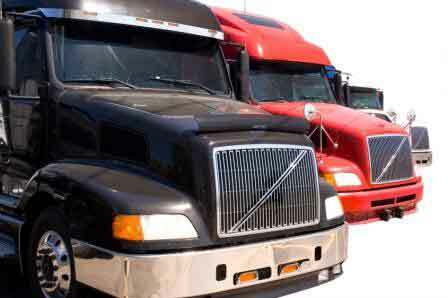 Talhan Transport Inc. utilizes a fleet of vehicles that are new, dependable and of the highest quality. Our 53 foot Air Ride Vans are perfect for those long hauls across North America.We also offer 48 and 53 foot flatbeds for those extra bulky shipments. Or let our 26 foot POPS get your shipment in and out of tight urban centres where versatility is not just a perk, but a necessity. Align our equipment with some of the best trained drivers in the business, and Talhan Transport Inc can ensure that your cargo is expedited and safe. Night and day, 7 days a week, our 24 hour modern warehouses are at your disposal. Your goods will be stored and consolidated for onward distribution in our large and efficient operation. With over 7,000 square feet of storage available, our facilities can handle any non-hazardous product your enterprise puts forth. Truck Transport Online offers both short and long-term safekeeping for your domestic and export destined goods. Featuring temperature controlled environments, elevated shelving, FDA food grade facilities and fully racked location systems. Copyright © 2009-2010 TalhanTransport.com. All Rights Reserved.